Over the years I have developed many metaphors to help the learning process. The key to coaching is not to bog students down with too much detail and to find easier, often visual ways, to help students improve. The concept of the shape of the ball has been one of the easiest and best training tools to help kids and adults progress with their tennis. 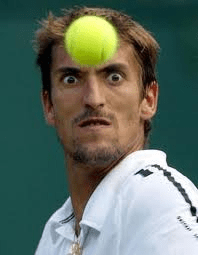 Every tennis shot has a ball shape to it. The best way to see a ball shape would be from the umpires chair or standing at the side of the net. This would enable you to see the shape as it crosses the net. When you impart topspin on the ball by brushing up the back of it, the shape of the ball will generally be a rainbow shape across the net. This is due to the forward rotation of the ball which forces the ball to drop. This makes the ball a higher percentage shot where it can clear the net and then still drop inside the court. You can have high rainbow shapes and low rainbows depending on the tactic or situation. 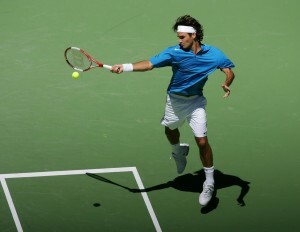 See tennis positions for more info. When you strike through the ball rather than up the back of the ball you will create a laserbeam trajectory. The laserbeam trajectory naturally carries more risk to it but more reward and the ball still may carry forward rotation (topspin). This is used to finish off points by taking the ball early and flattening it out. Two types of slices, the approach slice and the angle slice will also create a laserbeam shape where the open racquet face (slice) combined with hitting down the ball make the ball shoot through. How Rainbows and Laserbeams help you win? 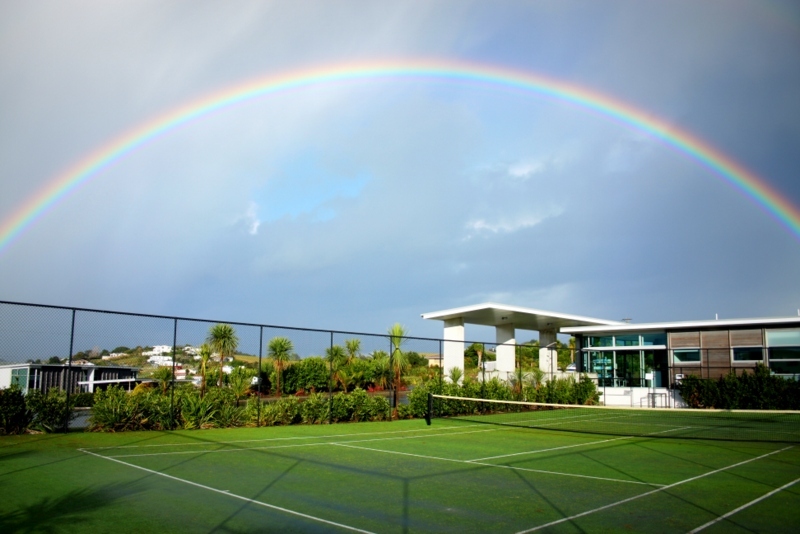 Rainbows help you develop a consistent topspin shot. It needs to give you good net clearance and be a safe shot for your midfield and defensive positions. Rainbows are also appropriate if your opponent doesn’t like high loopy balls. As long as you are brushing the back of the ball with a high to low to high swing. Laserbeams are the best way to steal time from your opponent and are perfect for down the line winners, approaches and volleys along with down the middle of court (particularly in doubles). Some of you will set up the point only to use an inappropriate rainbow to finish the point. This happens when your racquet drops on your backswing and is a common part of our training at Scarborough Tennis Academy. A drop shot and a floating slice can create a different type of shape. The open racquet face and forwards swing tends to make the ball go upwards in a straight shape with a more sudden drop downwards. A tennis shot is about decision and execution. You cant expect to get the execution right every time as even Djokovic still misses shots. However if you can focus on making the right decision tactically, then at least this is something you can control. Rainbows and laserbeams used in conjuction with tennis positions are essential part of our coaching program at Scarborough Tennis Academy.